With its new GreenLake Hybrid Cloud offering, Hewlett Packard Enterprise's message to the enterprise is simple: Your cloud, your way. The company debuted the new HPE GreenLake Hybrid Cloud service at its Discover conference in Las Vegas, saying that it can manage enterprise workloads in public and private clouds using automation and remote services, eliminating the need for new skilled staff to oversee and manage cloud implementations. "What you’re seeing is, we’re shifting the company to be very much services-led," said Ana Pinczuk, senior vice president and general manager for HPE Pointnext, which runs the GreenLake services. 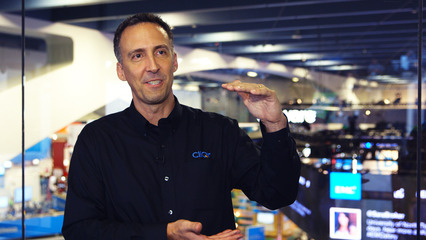 "We're leveraging our 'right-mix' heritage and we're moving to consumption models that provide customers with flexibility – we call it 'their cloud, their way,' and it gives us an entrée to a relationship with a customer that’s much more long-term." "I’d say it was a position they had to take," said Rob Brothers, vice president of data centre and support and deploy services at IDC. "They know that workloads aren’t going to reside in one place so they need a strategy where if it didn’t make financial sense to use GreenLake on premise they need to be able to help the customers with migration to the cloud side of the equation, to the public cloud sectors. "So for me it’s a kind of an evolution and something they had to get into to be able to paint the whole picture." 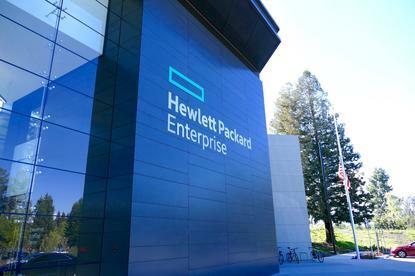 HPE has added expertise gained from the acquisition of two companies: London-based RedPixie, a cloud consultancy and application developer specialising in Microsoft Azure, and Boston-based Cloud Technology Partners (CTP), a consultancy firm focused on migrations to AWS. CTP was acquired last September and RedPixie was scooped up in April. HPE said GreenLake Hybrid Cloud can design, implement, manage and optimise hybrid cloud environments using an automated toolset based on HPE OneSphere and the company's software-defined technology. HPE's Pointnext IT services unit has 25,000 staff around the world. The unit is a rebranded version of HPE's old Technical Services arm, which took up the slack on consulting and services after HPE two years ago spun out its huge services business, merging it with CSC to form DXC Technology, a company with $25 billion in revenue a year. "Our cloud practice is one of these big areas where we started in an incubation mode – you know, how do we help customers optimise their environments and move workloads between private and public clouds," said Pinczuk. "So we did two acquisitions, CTP and RedPixie, and now we have a set of offerings that are much more scaled." One of Pointnext's marquee offerings is GreenLake Flex Capacity, which allows users to pay for services on a consumption, or per-use, basis. The on-premise infrastructure that HPE uses includes products from the ProLiant server, Synergy and SimpliVity converged infrastructure, and 3PAR storage lines. "What GreenLake Flex Capacity does is take our infrastructure solutions like storage and compute and provides that in a pay-as-you-go model," said Pinczuk. "We have different metering options: so depending on whether its compute or storage we can charge by gig, by core, and there are other options for clients. "We take the basic unit for whatever the infrastructure is, and we charge by that metric – by VM, by container by gigabit, or for storage, [by] petabyte of back-up." Some of HPE's major competitors offer flexible pricing plans - Dell EMC, for example, offers CloudFlex, and Cisco has Cloud Pay. HPE's 2017 acquisition of California cloud-consumption-analytics software provider Cloud Cruiser has helped the company provide cost comparisons to enterprises, Pinczuk noted. "Now we can send our financial people to talk to the CFO about what does it mean to shift from capex to opex models," Pinczuk. "The same way that the development world is moving toward agile development, we're moving toward agile service delivery." At the moment, while HPE's GreenLake Hybrid Cloud service works with AWS and Azure, the company is willing to embrace other cloud platforms. "We want to be cloud-agnostic," Pinczuk said. If there is demand from HPE customers, the company will extend its hybrid-cloud services to other clouds. "It will depend on customer interest."